Yes to top off a rather hectic 2 weeks of deliveries complete with the customary laser stare and accompanying burn as well as an occasional Whack! Ouch! 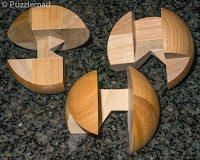 I received a couple of new puzzles from Jakub at the New Pelikan Workshop. 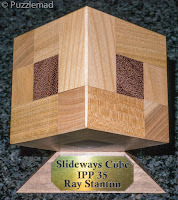 First up is the Slideways ball - This puzzle is the third in the series based on Ray Stanton's wonderful Slideways burr. All three have the same mechanism but the boys at Pelikan have skillfully changed the shape to mask the pieces. 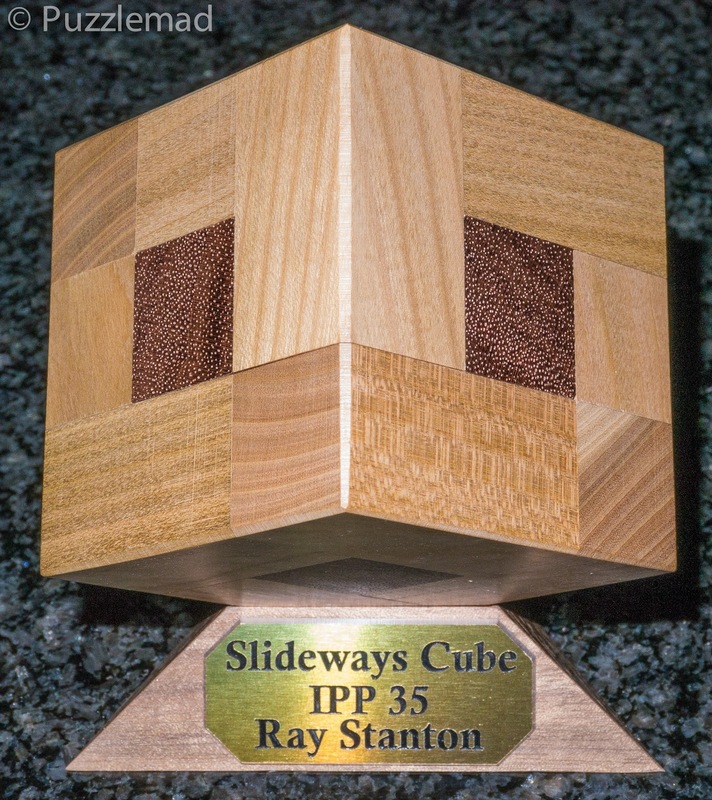 First there was the Slideways cube and now the ball. 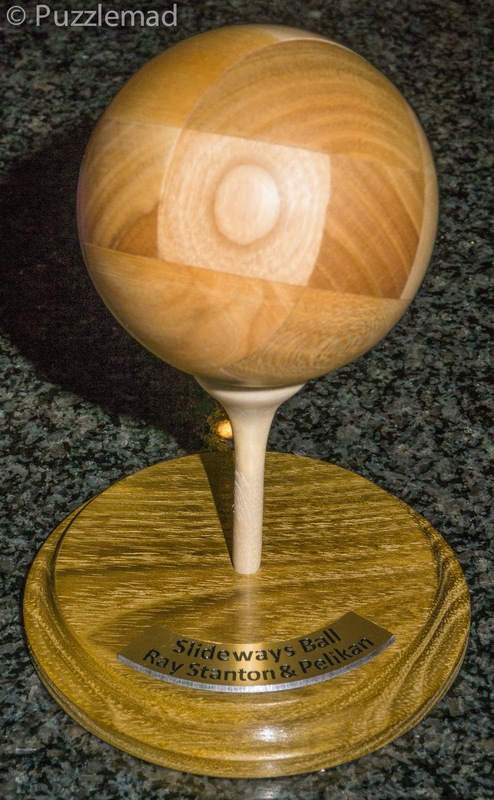 It is beautifully presented as a large golf ball with a stand and a turned wooden golf tee. The ball is a delight to handle and finding the exact places to press to start off the fascinating coordinate motion takes quite some time. When I finally found the exact points, it miraculously slides apart and the pieces seem to move an unfeasible distance before disengaging. Assembly is a lovely movement too. I also have to say that this makes a really fantastic (if rather large) worry bead to keep in your pocket. Covalent was designed by the incredibly prolific Tamás Vanyó, this is a marvel of interlocking pieces. It initially appears to move only to lock all the pieces tighter together in place before you eventually have a breakthrough and the first couple of pieces can be removed. At this point the amazing quality of the workmanship becomes apparent and you see how some very delicate pieces have been made very robustly and accurately. The contrasting wood colours are stunning. 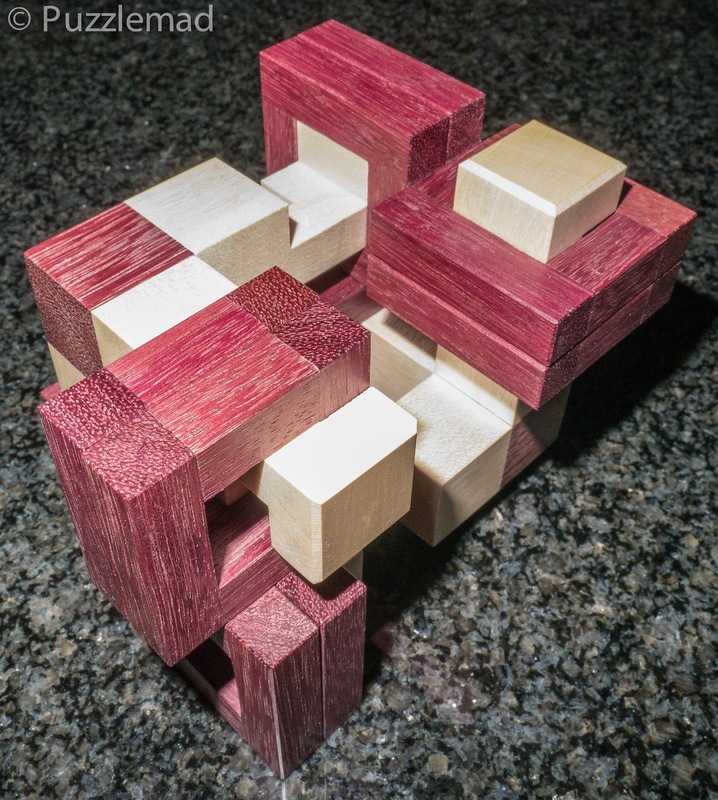 Like the namesake chemical bond, the pieces in the "molecule" can wiggle a bit but unless the energy is put into the structure just right the pieces remain firmly attached to each other. 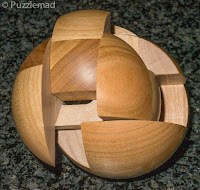 After 3 pieces are removed it becomes possible to dismantle fully using a rotation or two. 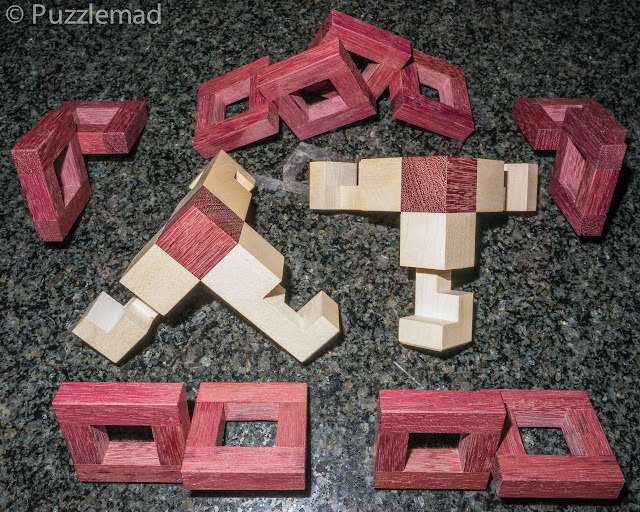 But it is worthwhile persevering and looking for the correct linear move disassembly. It is a stunning feat of design and of craftsmanship. Just look at the skill in building those pieces! 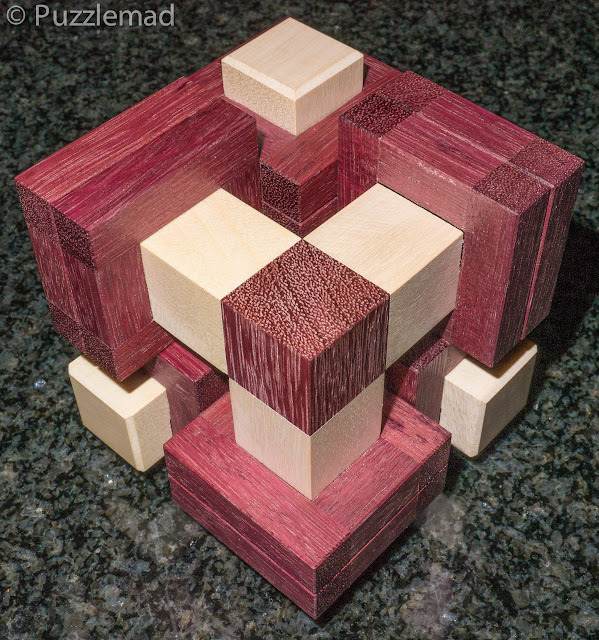 These 2 puzzles will both be announced very shortly on Jakub and Jaroslav's site and will be available in slightly limited quantities from there. Don't hesitate - you won't want to miss out!